In this article we introduce some ways of how your heat exchanger can be cleaned. Heat exchanger cleaning is an essential part of keeping your equipment working efficiently. 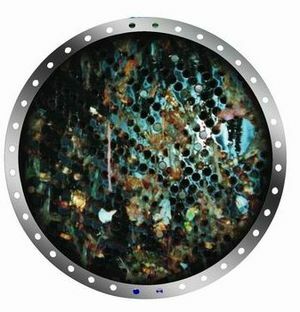 Heat exchanger fouling is caused by scaling (soft residues and mineral deposits start solidifying in to a hard layer) and fouling (algae that inevitably grows as a slimy substance on the pipe walls). This reduces the efficiency heat exchange process and hinders water flow through the pipe causing more pressure loss over the cooling system. Eventually heat exchangers get clogged with a layer that needs intense cleaning to be removed. It is eminent that maintaining a clean system is critical for its healthy long term functioning. This means turning off and disassembling your heat exchangers and cleaning them chemically and / or mechanically. Chemicals are used to dissolve and clean the residue or brushes possible in combination with high pressure are used to remove the scaling from the tube wallsof the heat exchanger. This works, the only downside is that it’s a constant requirement for operating systems. Using the traditional methods there is no way to completely avoid fouling, causing heat transfer loss and thus efficiency problems. Regularly stopping operations for cleaning the heat exchangers means more and expensive operational downtime. Only regular brushing can prevent scaling on any surface subject to fouling, whether a heat exchanger tube or our own teeth. 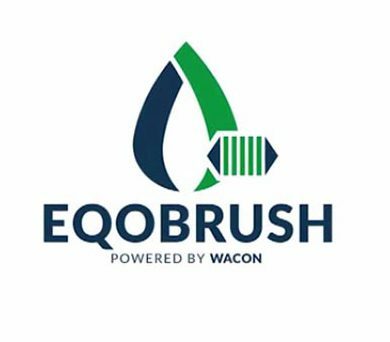 The EqoBrush system is designed to do just that. By placing brushes on each tube of the unit and shooting the brushes up and down in the tubes every few hours via a system back-flush debris does not have enough time to accumulate and solidify. This means that your heat exchangers stay at optimal performance all of the time. The EqoBrush system makes an investment return in around one year time, in addition to letting the heat exchangers work at full capacity all of the time. The reductions of costs, debris and chemical cleaning needed also provide a great ecological incentive for companies looking to reduce their wastefulness.